Welcome back to our series on lead nurturing; helping you get started generating and nurturing new client relationships through well thought out campaigns. 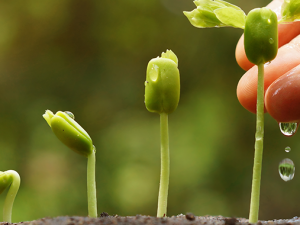 In our last article, we defined the term “lead nurturing” and discussed how it can help you. In this instalment, we will be talking about how to formulate a practical lead nurturing campaign that is tailored to your needs. Before we start, we need to take a look at your current situation. How do you currently get new interested parties on board? How do you market both to new people and to people who have previously shown their interest? Closely take stock of what’s currently working and what isn’t. If you are having particular success with a set method, there’s no need to stop it; one of the joys of lead generation/nurturing campaigns is that you don’t have to stop your existing efforts. Examine the types of contacts that your current methods are bringing in and how close they are to your ideal clientele. You may even want to dig through your previous data to see where people are finding out about you and how they’re initially getting in touch. Once you’ve taken stock of your current situation, you can move on to formulating what you want to achieve. Specific – Establish what it is exactly that you want to achieve. You need to drill down to an exact goal rather than a more fluid target like “more than last quarter.” An example of a specific goal might be to increase revenue by 20% – note that it’s a specific metric tied to a specific figure. Measurable – Establish a quantifiable metric to measure your success. Whatever goal you choose to aim for needs to be in a format that can easily be recorded and analysed. Our “increasing revenue” example works here because we have specified that revenue specifically needs to increase by 20%. Achievable – Don’t set sky high targets if previous data proves that those targets are unreasonable. Our example target states that revenue needs to increase by 20%, but if the highest revenue increase you’ve ever achieved from a single campaign is 2%, then it’s unlikely that 20% is going to be possible. Realistic (or Relevant) – Similarly, the goal you choose needs to stay in line with your own abilities. If using a particular campaign or dealing with the goal result vastly outstretches your capabilities, then it’s going to cause a problem. Going back to our example, if you and your team would have to work 24 hours a day to fulfil the work relating to a 20% revenue increase, then it’s simply not viable. Time-Bound – Always establish a deadline for your goal rather than letting it drag on forever; this can take the form of smaller staged deadlines or one large deadline marking the end of the campaign. So for our example, the 20% revenue increase needs to be achieved within a realistic set time frame. How are you introducing new prospects into the system? Are you offering an incentive for people to sign up, like a lead magnet? Put simply, why should people sign up? What’s in it for them? What methods do you intend to use/have you previously used to collect and store people’s details? Does this system integrate with the means which you plan to contact people? How do you want to get in touch with people? Do you want to send emails, social media, SMS text messages or simply contact people over the phone? What data will you need to collect in order to contact people in this way (phone number, email address, etc.)? Note that getting a person’s name is generally a good idea, but consider whether you need any more information to tailor your offering; such as company size, industry, company size, position, etc? Sidenote: Remember that the more information you ask for, the more chances you give the person to halt the process and turn away. It can be a bit of a balancing act to get the info you want without seeming too nosey, so only ask for the essentials! Now let’s get down to formulating the actual campaign bearing the previous steps in mind. Lead nurturing campaigns usually rely heavily on email marketing, and often use some level of automation. What this means is that you set up emails beforehand and a logic flow to send them out once certain criteria have been fulfilled. It’s this logic that you need to establish, like a flow chart of sorts. This is where doling out advice gets a little tricky; only you know what you can handle and what you want to achieve from a nurturing campaign, but there are a few generally accepted concepts to consider. We’ll get to an example shortly. Firstly, continuous communication is the name of the game here; getting in touch with your clients regularly and consistently without being annoying keeps you at the top of their mind, so when they need what you provide you will be the first person they think of. Depending on what you do and who your clients are, contact frequency can vary wildly; though if in doubt, it’s generally a good idea to keep to a frequency between twice a week and once a month. A bit of market research can help you here. Good lead nurturing often uses multiple channels of communication if possible. Though email marketing usually forms the backbone of a nurturing campaign, it doesn’t have to. Using a campaign that contacts prospects through a mixture of email, phone and postal mail can prove very effective and can provide a variety of information and feedback that email alone cannot provide. It’s also important to balance sending helpful information with the hard sell. If you’re pushing and promoting all the time, people will get irritated very quickly. Lead nurturing is all about developing relationships with people and positioning yourself as an approachable expert, so share helpful blog posts or videos of yours around two-thirds of the time and directly promote yourself the remainder of the time. We’ll demonstrate that in our example lead nurturing flow. And speaking of that example, here it is. You’ll see that we’ve integrated the three above points: contact is made through different channels, it isn’t too frequent or infrequent, and varies between promotional offer and helpful content. The utilising multiple forms of communication part is vastly helped by using a joined-up CRM platform that records web visits, phone conversations, and marketing email responses. FIVE CRM is a great example of just such a platform. Prospect data, website analytics and email campaigns and automation can all be managed through our intuitive platform. Because it’s all feeding into a CRM solution, which you can segment, analyse and automate from a much wider amount of information. Why not take a look at our product options – or even better – check out our free trial? Our team would be glad to assist with any queries, no matter how big or small.